When it comes to drunk driving we all know the dangers. The police, local media, public service announcements, Mothers Against Drunk Driving and many other advocate groups have warned of the dangers of such behavior for years. But many of us don’t realize just how dangerous drowsy driving can be. In fact, drowsy driving is now being called just as dangerous as getting behind the wheel after having one too many drinks. This may seem like an exaggeration but the studies and statistics don’t lie. In 2010 drowsy driving made up 16.5% of all fatal crashes in the United States. While this number might seem small, it is a significant cause of highway deaths. But in 2014, this number jumped to 21%. While we are not sure why these numbers have changed it has become a serious situation for all of us who share the same roadways. AAA has recently quoted the Traffic Safety’s Annual Traffic Safety Culture Index as reporting that 1 in 10 people have admitted to falling asleep at the wheel. While many of these people in the study had not been involved in fatal crashes, many have run off the road or gotten into minor fender benders. But things don’t go so well for others. Some independent surveys that have been recently released indicate that a third of those who are licensed to drive have fallen asleep behind the wheel. This shocking number is very alarming and should serve as an eye opener for all drivers and passengers. The only real prevention to this prevalent and dangerous problem is awareness of the issue. We all must be diligent and not drive when we are feeling drowsy. Driving while impaired, due to alcohol, drugs or even lack of sleep is effects not just your life, but puts the lives and safety of others motorists at risk. If you have been a victim of a drowsy driver, let us help protect your rights and get you the compensation you deserve. No one should have to suffer financial loss or pain and suffering without being compensated. You should consult with an auto accident attorney as soon as possible to talk about what steps you need to take and to see if you qualify for compensation. 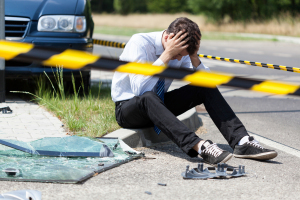 Our team of highly trained professionals has years of experience helping those who have become victims of reckless drivers, negligent drivers, distracted drivers and drowsy drivers. We work hard to obtain for our clients the benefits they deserve. So if you or a loved one has been injured in an accident that was no fault of your own and are unsure if you have a case, please contact an injury attorney as soon as possible to discuss your claim. Let’s get things working in your favor today.